15% off Virgin Atlantic flights to London! DISCOUNT ALERT! I’ve teamed up with Virgin Atlantic to offer my readers a huge 15% off flights to London, until the end of the year! Yes, that means Christmas in the UK for bargain prices, long weekends away and maybe a holiday to recover from the summer (I’ve just checked online and with the code Christmas flights are AED3,260 return). All you need to do is use the code PE001 when booking online at www.virginatlantic.com – just type it in the Show Advanced Options box – and you’ll get 15% off flights in any cabin class, including Premium Economy and Upper Class. The code is valid until September 30, on travel until December 31, 2017. You can see all terms and conditions below. This discount (code PE100) entitles the promocode user to a 15% discount, on flights from DXB – LHR – DXB on our listed prices. All flights are subject to availability at the time of booking. This discount is only valid for return direct flights from Dubai to London Heathrow. This discount is applicable to fares for any cabin (inclusive of Economy, Premium Economy and Upper Class). This discount is applicable to the base fare only. Taxes and fees apply in addition. This discount is not valid for one-way tickets. This discount is valid for one booking only per user. Multiple ticket purchases are permitted under one booking. This discount is not valid for group fares (group fares are only applicable for nine passengers or more on one booking). This discount is not valid on codeshare routes. 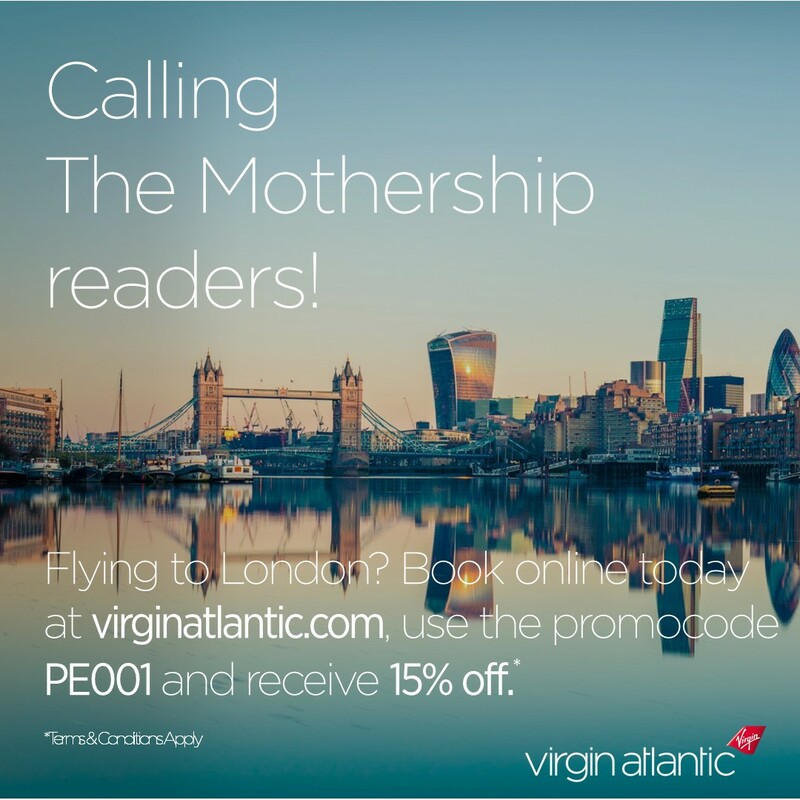 This discount may only be redeemed via the Virgin Atlantic website. This discount is only valid for flights booked by 30/09/2017. Outbound departure date must be no later than 31/12/2017. Return flight must be within 12 months of outbound flight. Open return is not permitted; reservations are required for all sectors at the time of booking. This discount is valid for Child and Infant fares. Children pay 75% and infants not occupying seats pay 10% of the net fares. All fares are inclusive of taxes and surcharges. Taxes and fees will not be subject to the 15% discount. Date changes, cancellations, refunds and no-show charges apply as per fare conditions at the time of booking. Passenger will be charged a name correction fee of USD 50 if the name is not exactly as per passport. Passengers must abide and be subject to Virgin Atlantic’s published terms and conditions of carriage, which are available from any Virgin Atlantic office and website. Virgin Atlantic reserves the right to change these terms and conditions and withdraw this offer at any time.